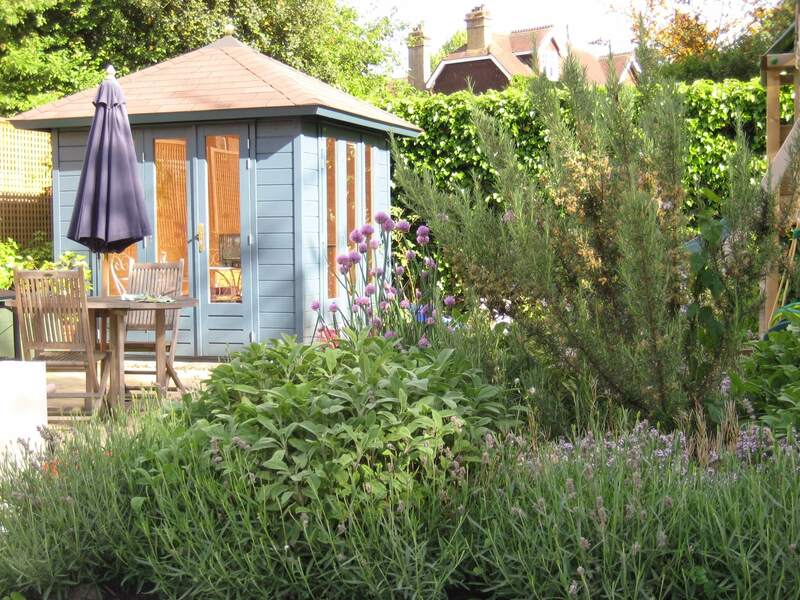 The far end of this garden was covered in raised decking to house a hot tub installed by the previous owner and was overlooked by the neighbouring school. 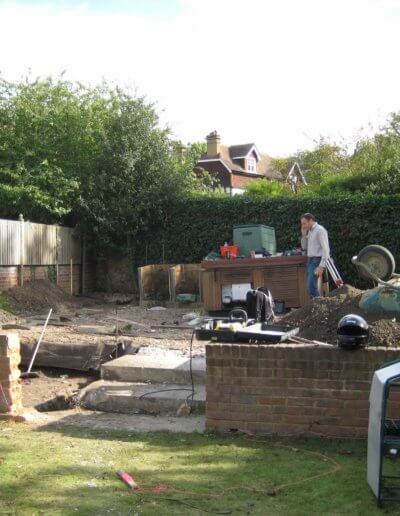 The main priority for our client was to provide a secluded family space and although they loved using the hot tub they did not want it to be such a prominent feature. 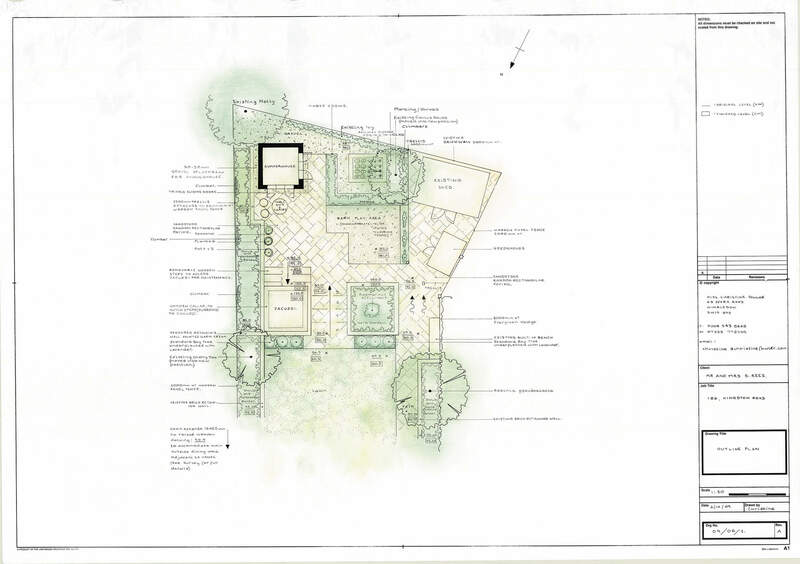 Although a large garden in total, this section was relatively small for the long wish list: a play area for the children with a swing and a slide, a raised vegetable bed and greenhouse to encourage the children to grow their own plants and vegetables, an existing shed to be kept for storage and a small seating area adjacent to a summerhouse to be used as a changing room for the hot tub. 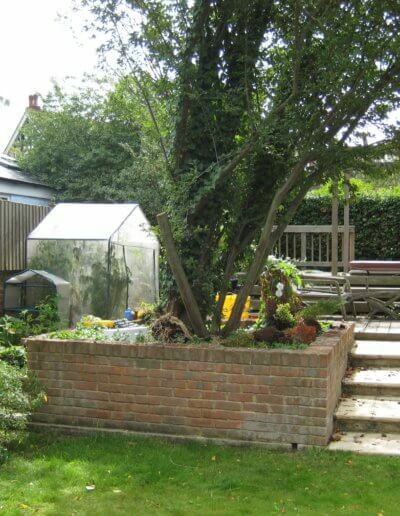 The existing brick planters were redeployed, rendered and painted to create a more contemporary feel to the space and to house the hot tub in one and a herb garden in the other. 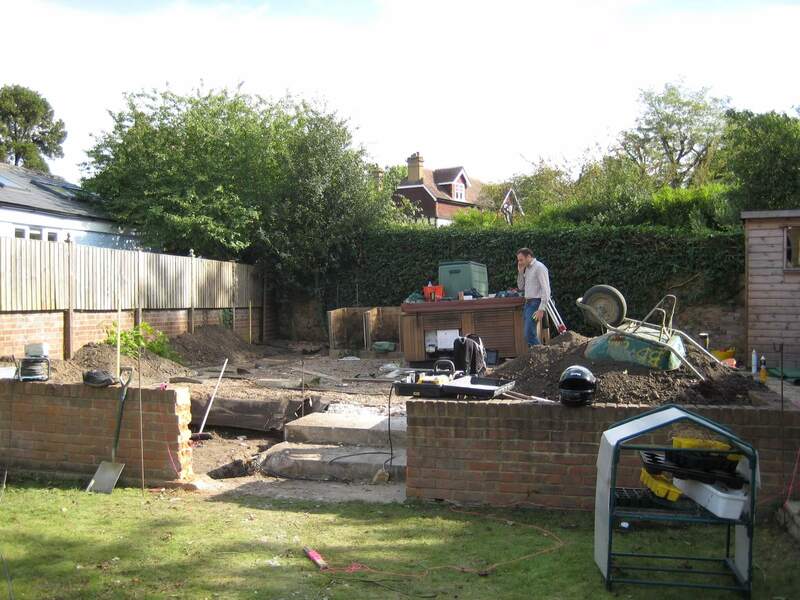 The level at the end of the garden was dropped by removing the decking. 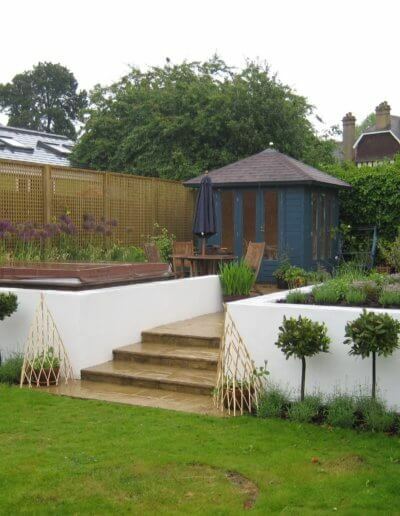 A raised bed was built along the boundary wall and this was backed by trellis. 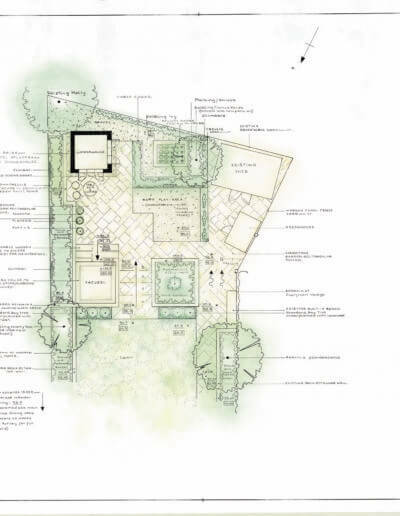 The addition of shrubs and climbing plants create privacy from the school next door. 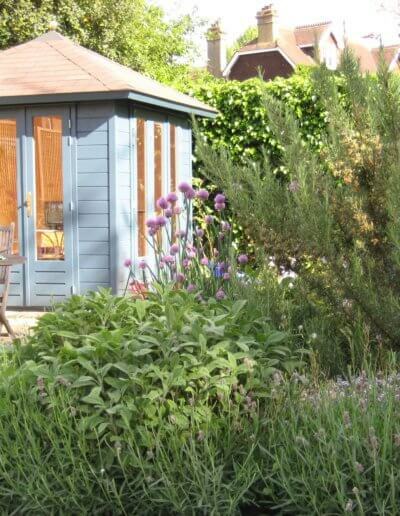 A utility area was created and screened off to house the existing shed and greenhouse so the main area was kept as an attractive open space for the children and adults to play and relax together. 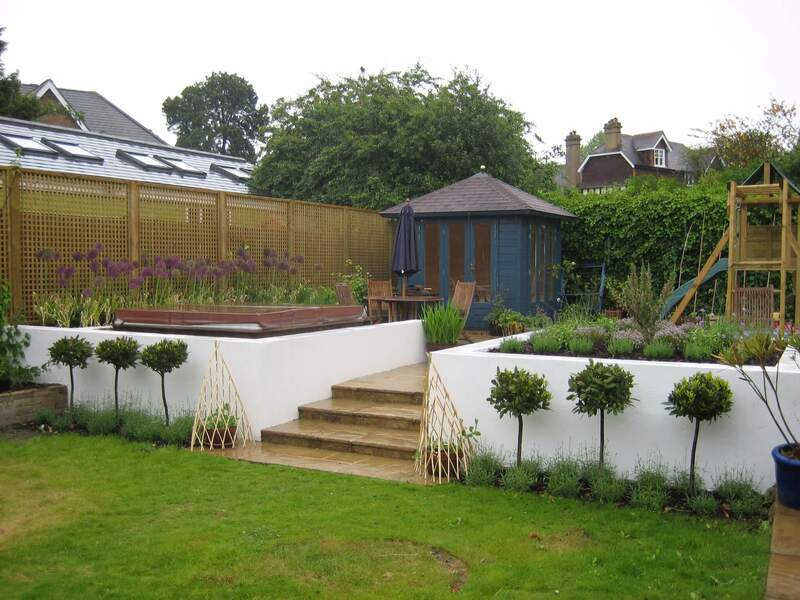 The planting for the rest of the garden was also redesigned to complement a new extension that had been recently added to the house. 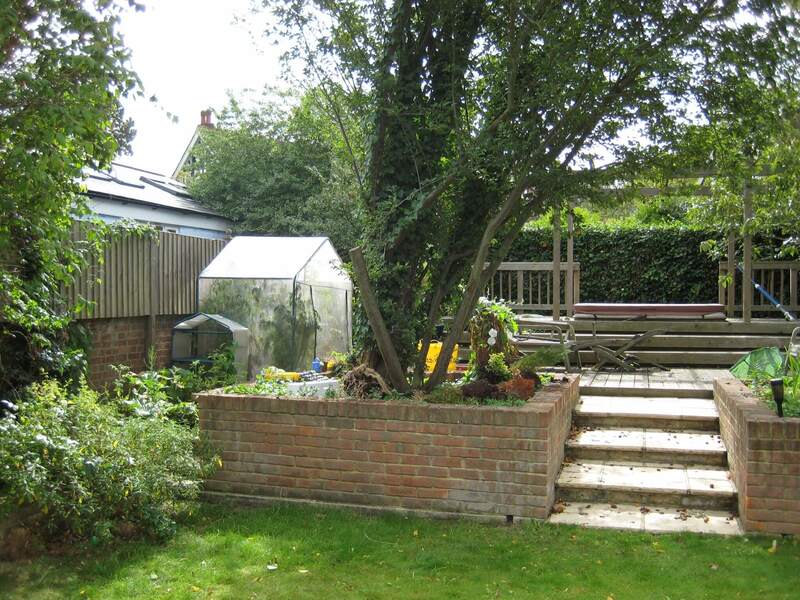 We hardly ever used the end of the garden, now we are down there the whole time.